Ok, so I promised that I’d post it later today (which is technically yesterday), but here it is! 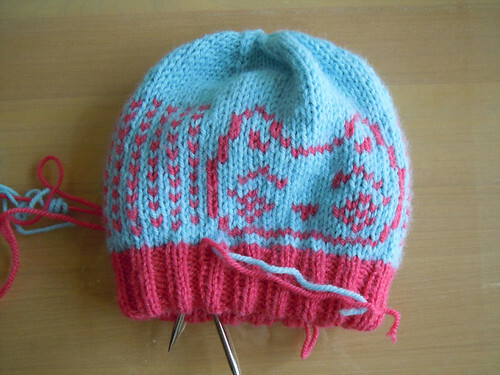 And now, the sneak peek….. another beanie! I LOVE this hat! I love the colors and, of course, the kitty! 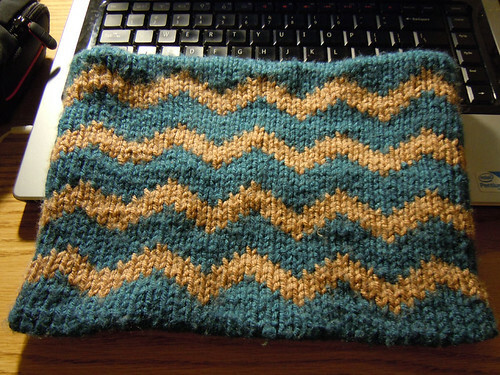 This is a pattern I just sort of started fiddling with and ended up really liking. It uses the same techniques as the other beanies but uses a slightly thinner yarn (worsted, not aran) so it’s a completely different feel. 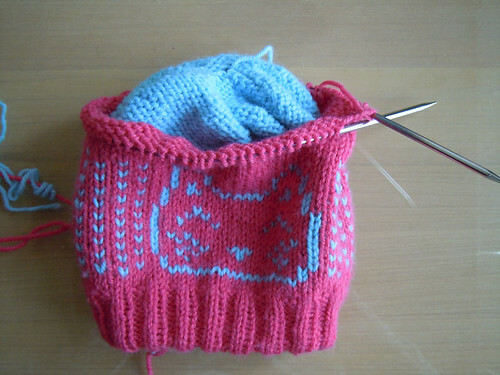 Photo Update and Sneak Peek: New Free Pattern Coming This Week! So I finally retrieved my double-knit cowl from my boyfriend’s house and I took come pictures of it to show off! I know there are a couple of mistakes visible on one side, but those are bound to happen! The good thing is that it’s reversible so I can put the mistake side on the inside! 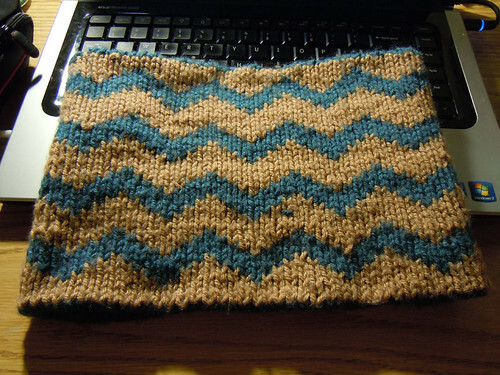 I’m working on the pattern, and it should be up soon-ish. I’ve got something else in the works too! Here’s a little sneak peek of what I’ve been working on. 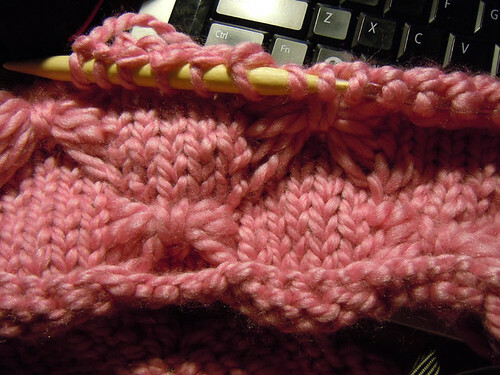 In the meantime, I’ll have a new pattern up this week what basically amounts to a giant pink puff-ball. It’s really a cowl/neckwarmer of sorts, but it’s just so darn fluffy (and sheds everywhere)! 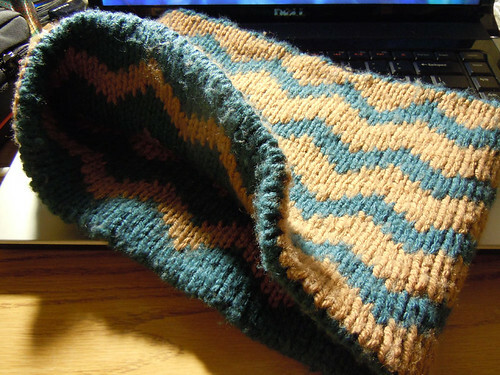 I’m done knitting it and the (free!) 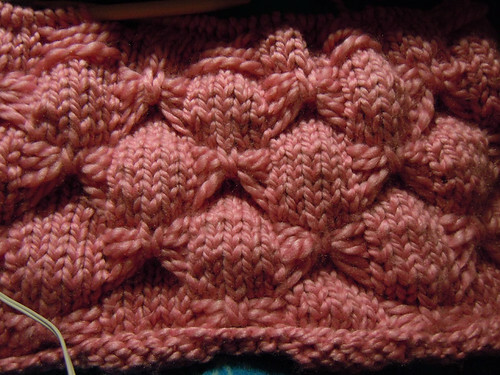 pattern should be up before the week’s over.